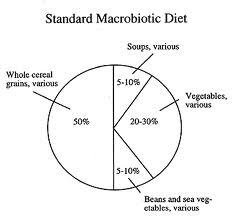 Some introduce macrobiotics as a way of life and diet with specific food choices and by doing so fall into the trap of having to compare one diet versus another. They end up criticizing fast food, raw food, high protein diets, vegetarianism, veganism and compare it with macrobiotics. They may lament the fact that veganism, for example, seems to be more popular than “macrobiotics” and wonder why this is so. I don’t do that. I avoid falling into that comparison trap by introducing macrobiotics in a different way. I explain, as I did recently to a group of high school students, that macrobiotics is about understanding your relationship to food – to ALL food – whether it is eating organically grown brown rice or a fast food hamburger with fries and also looks at how all foods affect you. It also isn’t just about food but is about observing and trying to understanding your relationship with and how ALL things in life effect you from the forces of nature (the weather, the seasons, the climate and where you live, etc.) to your relationship with people – family, friends, society at large – to your dreams and ambitions and to everything else in this grand universe. The choice of what to eat is individual. If people wish to eat pizza and hamburgers then that is their own choice. If they wish to eat high quality organic foods, then that is their choice as well. It only depends on what you want to do with your life and what difficulties or challenges you wish to face and whether or not you are willing to take full responsibility for the consequences of your choices. In this way I do not impose my own personal value judgements and morals upon others nor do I criticize them for their values or morals. I completely respect their freedom to choose their own life and path. As a macrobiotic teacher it is only my role to help guide those interested to observe and better understand their choices, to introduce new options and possibilities and to explore and examine the consequences of their choices. In this way my aim is not to offer solutions to problems but encourage others to find solutions on their own and in doing so find greater freedom to enjoy life fully and completely. This way of introducing macrobiotics is intended to dispel the misunderstanding that it is a rigid and narrow diet as it has come to be known as. I believe that the source of this misunderstanding lies less upon on misinterpretations of an unknowing and blameless public but more on various macrobiotic proponents unable to accurately convey the dynamic nature of what macrobiotics is truly about. Having been born into and raised in the middle of the macrobiotic movement it comes natural to me to want to correct this misunderstanding whenever the opportunity presents itself. Thank you for your balanced views- I love your blog! In my country, we say: “the fish dies by the mouth” and this means that the day we critizice something, the day after we are doing it. Change is innate to the human nature and the best, most balanced and healthiest way of accepting and understanding this is expressed in the unconditional Respect shown to everyone´s freedom to choose their own path in life. Other subject is that the choices can be done fruit of ignorance, then freedom is not present, when we act under ignorance, we become slaves of our senses, emotions, but don´t get me wrong the knowledge just acquired by the mind, that hasn´t been assimilated, digested and experienced by the being, enslaves us the same than ignorance, because we stop listening to our inner and outer needs to begin acting rationally, the goal here is to find a balance between all our bodies, at least the ones that we are more conscious, physical, emotional, mental, spiritual and with it become free to choose who we want to be(in all senses), at least, the most of the time if not all. To balance all our bodies will push us to be conscious of all the “food ” that nurture us, not just the whole grains, vegetables, animal/vegetable proteins,…..thoughts, prayers, meditations, exercises, breathing, working, sharing, being where and when we are, respect the seasons, respect the nature, respect ourselves and the others, respect all the manifestations of matter being conscious that it is a manifestation of energy and I could go on and on, and all of this unconditional respect, covered by a huge quantity of unconditional Love all of this will wake up the consciousness of what is macrobiotics and when this consciousness is awaken, you´ll understand that Macrobiotics is a way of Unconditional Love and Respect to all that are in the known and unknown Universe. Once you get this understanding, your choices are more conscious. But I would like to add something else, remember that we are not alone in this world and even when we can achieve this kind of understanding, we have family, friends, known people,…not known people and the whole Universe that we relate to and that we are energy and our connections are not just the direct ones, we are under very subtle connections too, I will give you an example that I am sure you will understand. When a couple decides to have a child and the man eats meat and the woman has chosen not to eat it for a while, when she gets pregnant she will have to balance his energy inside of herself and she will have the need of eating animal protein more than usual, eating fish or whatever she chooses, this is an extremme but in daily life we are balancing everyones energies unconsciously, everytime we deal with the others or even when we think about them,…… then let´s be patience, unconditionally loving and unconditionally respectful as much as we can, to everyone´s choices and path, because this will be the only way for all of us to grow up and to achieve the Peace many of us long for.